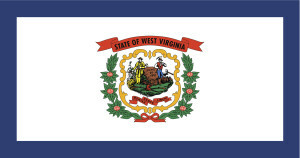 The Automotive Recyclers Association on Friday praised the dismissal of a case against Saint Albans, W.Va.-based Greg Chandler’s Frame & Body for using recycled original equipment manufacturer parts. The case was dismissed Monday by Kanawha Circuit Judge Charles King, the Charleston Daily Mail reported. The West Virginia Supreme Court of Appeals in June 2014 said that using recycled or salvage OEM parts did not violate the Automotive Crash Parts Act or Consumer Credit and Protection Act and kicked the case back to the circuit court, which in 2012 had ruled in favor of former Attorney General Darrell McGraw. McGraw sued the body shop and Liberty Mutual Insurance Company in 2011. The Crash Parts Act requires collision repair shops and insurers to tell customers if they’re using aftermarket parts and get their consent in writing to do so. But the Supreme Court found in 2014 that recycled OEM parts were different (as the industry could tell you) than aftermarket ones. It even praised the body shop and insurer for saving the customer money by using the recycled parts.